From the popular anime series 'LoveLive!' 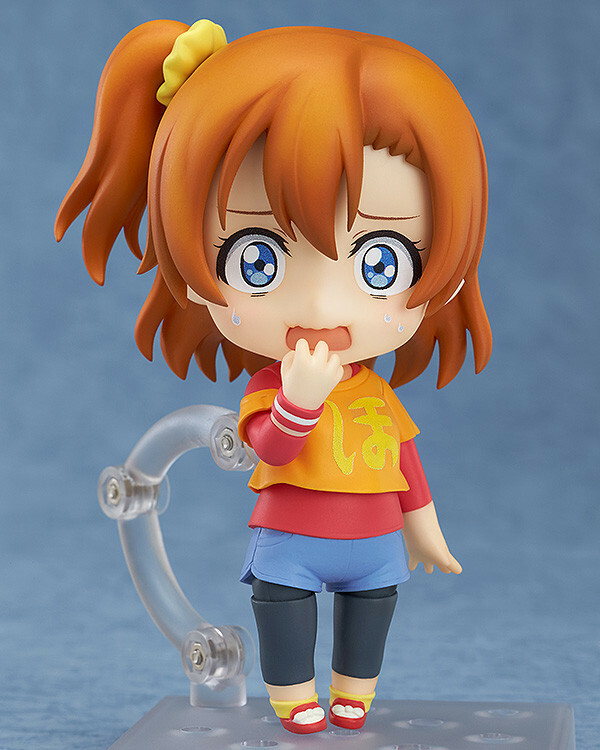 comes a Nendoroid of Honoka Kosaka wearing her training outfit with the large 'Ho' character printed on the front. She comes with two different expressions including an energetic smile as well as a more comical flustered expression. She also comes with a variety of arm and leg parts allowing you to pose per practising in all various different ways. Bread parts are also included allowing you to pose her munching on her favorite food after a hard day's training. 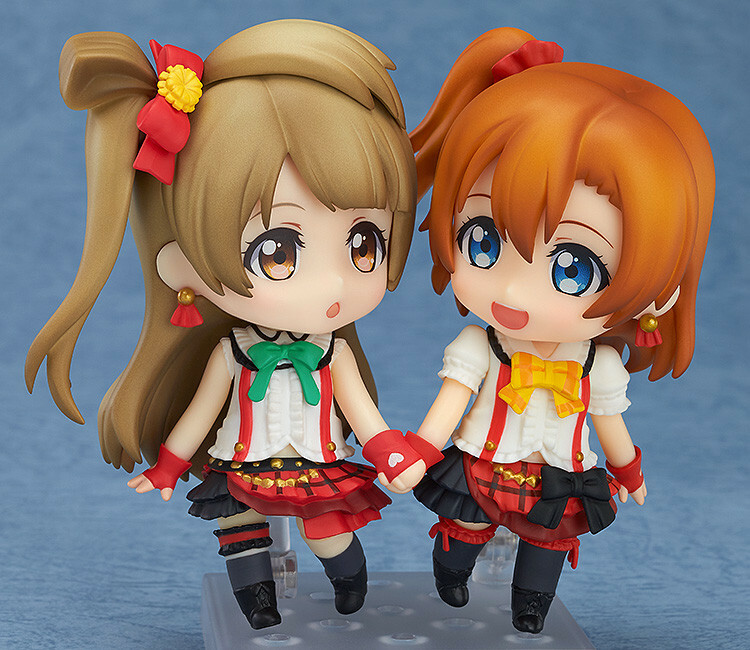 A special 'holding hands' hand part is also included for use with the 'Ima wa Bokura no Naka de' LoveLive! Nendoroid series. 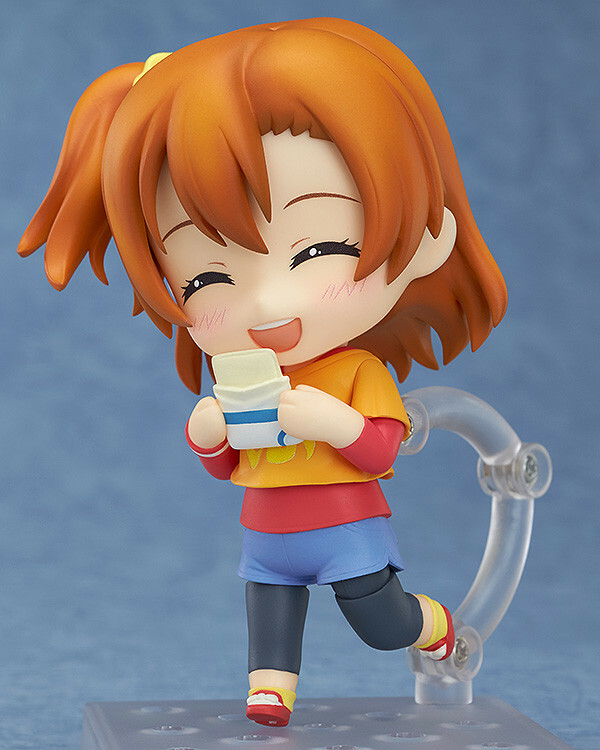 The other μ's members are also going to be joining the Nendoroid series in their training outfits, so be sure to look out for them too! 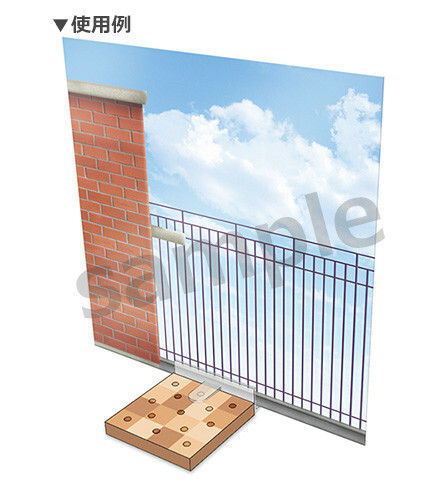 Preorders will be open from 30th June 2015 (Tue) from 12:00JST until 29th July 2015 (Wed) at 21:00JST. 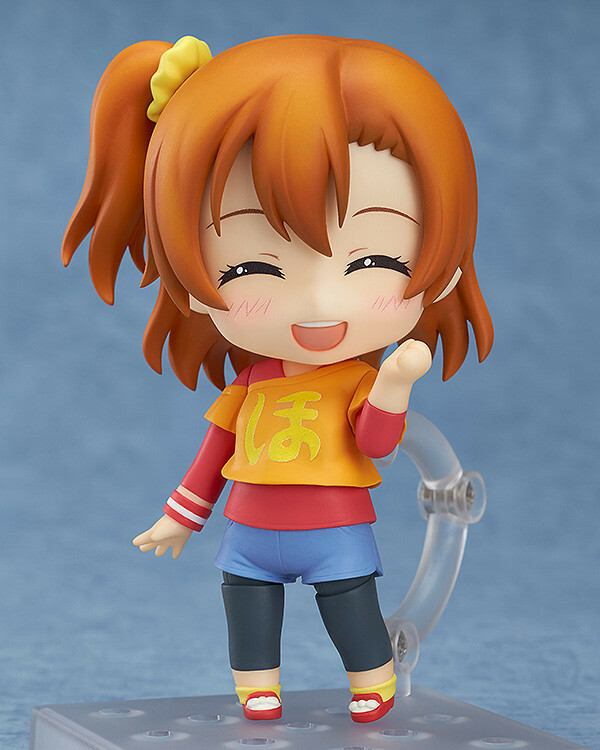 Preorders of Nendoroid Honoka Kosaka: Training Outfit Ver. 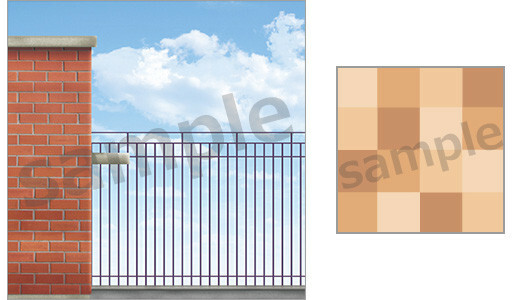 from the GOOD SMILE ONLINE SHOP will include a Special Nendoroid Background Sheet (Blue Sky) and a Special Nendoroid Stand as a bonus!